Whatever your views of billionaire politicos Howard Schultz and Michael Bloomberg, they are unassailably correct about a viral political issue: There is no chance of a single-payer “Medicare for all” plan happening any time soon. Maybe ever. 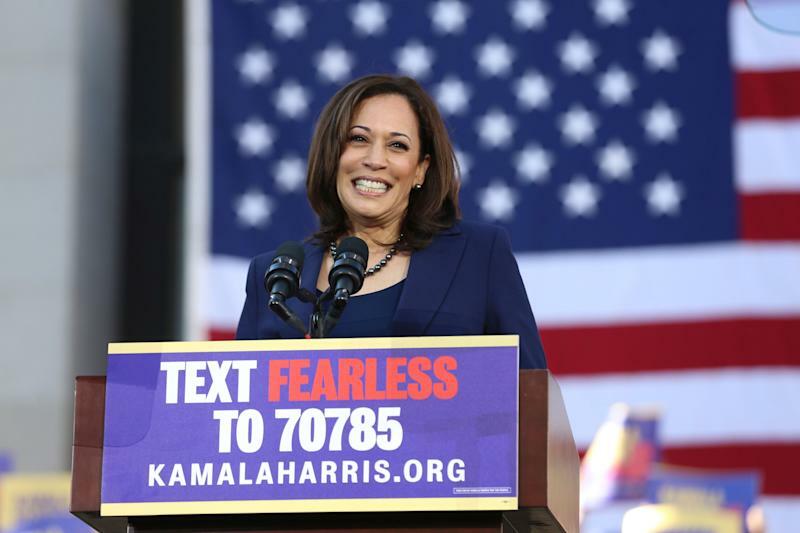 This is heating up because Democratic Sen. Kamala Harris, now a leading presidential contender, has fully embraced a single-payer health care system that would completely replace all private coverage. Medicare for all was a fringe idea when Bernie Sanders endorsed it in the 2016 election. Now, more Democrats (though not all) are backing it, which means the future of health care coverage is going to be a knockdown issue in the 2020 election. The cost is prohibitive. Medicare for all would require at least $3.3 trillion per year in additional federal spending. The government currently spends about $4.2 trillion per year, so MFA would amount to more than a 75% increase in federal outlays. Is anybody ready for that? No matter what tax scheme you concoct to come up with the additional funds, the answer is no. Virtually nobody is ready for a gigantic increase in federal spending and the huge tax increase that would entail. The disruption would be catastrophic. If you were starting a health system from scratch, then sure—a single-payer network controlled by the government might make a lot more sense than the patchwork, mystifying maze we have now. It might even cover more people at a lower overall cost. But we’re not starting from scratch. The health care industry accounts for about 18% of GDP and employs at least 20 million people. Some of those workers would remain in place, if the government took over health care, since we’d still need doctors, nurses and other caregivers—they’d just be paid differently. But getting rid of insurers, benefit managers, clerks and other administrators would leave millions unemployed, and be cruel, besides. The unmentionable consequences. Medicare for all would probably require sharp pay cuts for doctor, nurses, technicians and specialists. You might think that’s okay, but they don’t. We probably don’t have enough caregivers, either, for a system that would have millions of additional patients, which means wait times could skyrocket and face time with doctors could become scarce. And if medical professions became less rewarding, some would-be doctors would choose other fields, exacerbating a shortage of caregivers. There are certainly ways to improve the U.S. health care system, make care more affordable and extend coverage to more people. One way to start is plugging holes in the Affordable Care Act. Another idea is to keep the private health care system in place, while developing a broader government backstop for people who don’t get care through an employer. An ambitious extension of that would be to phase out the federal tax break for employer-provided care, while phasing in basic government-provided coverage for all Americans. The ultimate goal of that type of plan would be universal coverage provided by the government, with supplemental benefits, such as speedier care, available in the private sector for people willing to pay more for it. Insurers would still exist, but the industry would shrink over time. Supporters of Medicare for all argue that the right way to address big problems is with big ideas, even if they’re impracticable. By shifting expectations, this thinking goes, you pave the way for smaller changes that might not have been possible otherwise. But it’s also cynical for politicians who should know better to promise voters the impossible. That’s one reason voters are so fed up with Washington—their elected leaders are all talk and no action. Just like Bernie Sanders, Kamala Harris undoubtedly knows that Medicare for all has no chance in an environment where federal deficits are already rising by $1 trillion per year and one of the two major political parties is adamantly opposed to the idea. Medicare for all isn’t a different vision of the future—it’s Fantasy Island. America should strive toward universal, affordable health care coverage for everybody. It can only get there through measured, pragmatic change that a majority of the people support. Maybe the billionaires learned something useful while building their fortunes.